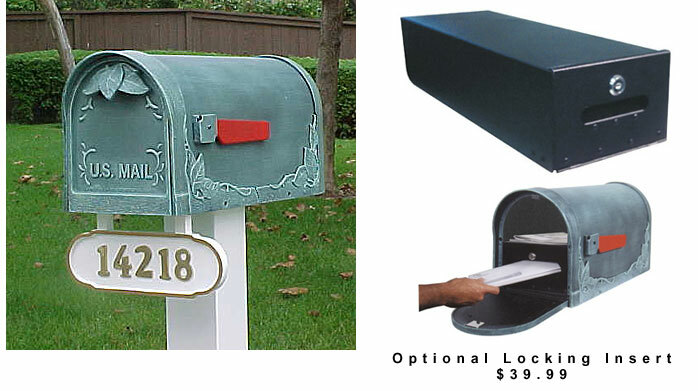 Mailbox Construction: Made from rust-proof die-cast aluminum. Painted with a durable powder coated finish. Made from rust-proof die-cast aluminum. Painted with a durable powder coated finish.